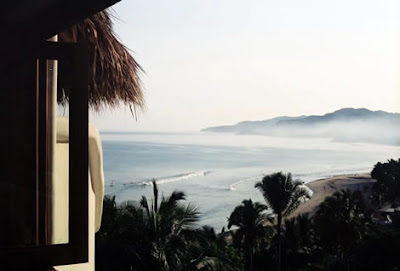 Blog Break: Mexico or Milan? I thought about packing my laptop or pre-loading some posts, but nope - I'm going on vacation and I'm taking a blog break. If I can't be in Milan, I'll take Mexico. Plenty of show coverage at MoCo Loco though, and lots of nice links to the left. See you in two weeks. 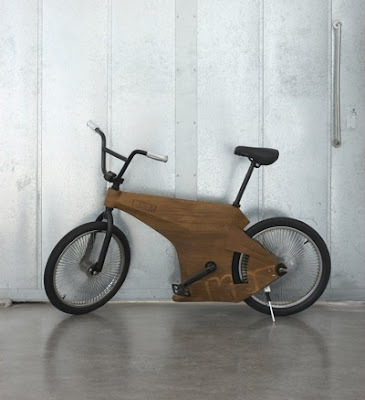 The OKES lifestyle bike is another piece on display at the Design Academy Eindhoven exhibit. This oak frame beauty was made by Reinier Korstanje. Photo by Rene van der Hulst. 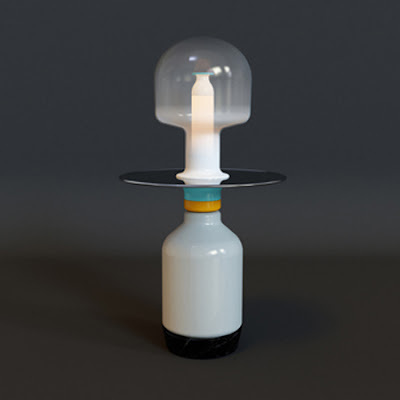 Students from the Design Academy Eindhoven will be taking part in an exhibition called Still during this year's Milan Furniture Fair. 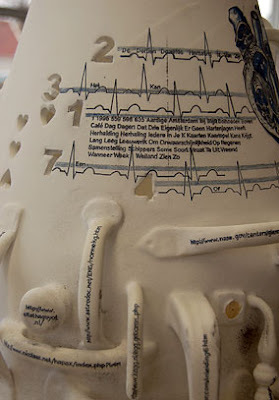 This piece, called 'Waterevaporation', is by Hanneke Guerts vanKessel. 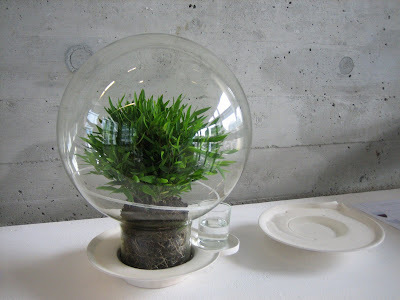 I love futuristic-looking plant orbs! Though ICFF always has a few interesting pieces, the Milan Furniture Fair and it's related shows are really where it's at. This year seems to be no exception as the initial sneak peek photos from Milan have begun to drift out. Over the next few days I'll highlight the best of what I can find coming in from the various exhibitions. 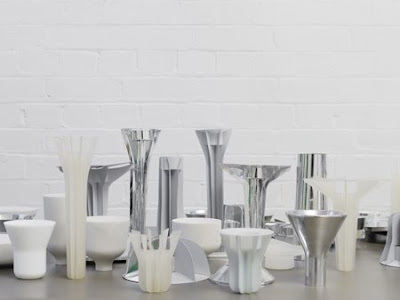 One of the shows that looks particularly intriguing is Meta, a collection of work that brings together designers, master craftspeople and top line materials. Meta is billing itself as, "the antithesis of machine-age production." In it, designers have been given full access to work with these skilled artisans to make one of a kind, or limited edition, handcrafted masterpieces. 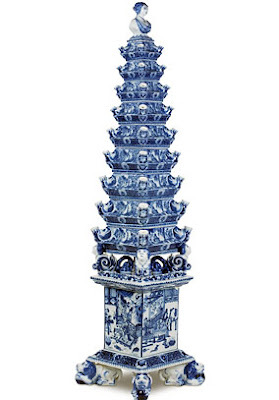 As part of the exhibition Royal Tichelaar Makkum, a centuries old ceramics company, has teamed up with a group of Dutch designers to re-create 17th century flower pyramids. 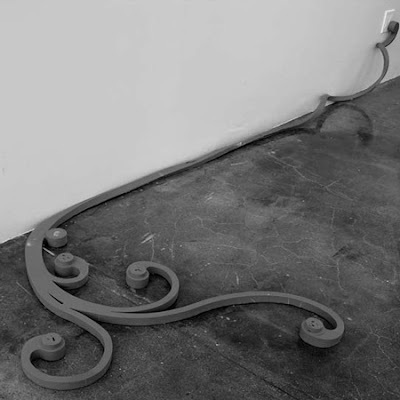 The company invited Jurgen Bey, Studio Job, Hella Jongerius and Alexander von Slobbe to work with their in-house artisans to create contemporary versions of the centuries old model. The top image is an original 17th century Delft pyramid restored by Makkum, the middle shows a close-up of Jurgen Bey's piece and the bottom is a wax model of the pyramid Studio Job created. The exhibition has not opened yet, but once it does I will share more photos. 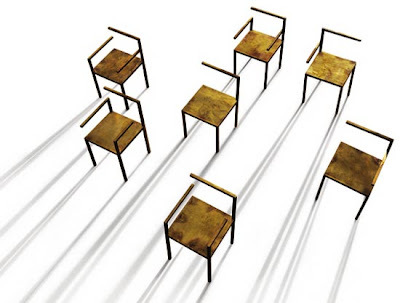 'Missing', a collection of seven chairs by Nobody & Co, will be on display as part of this year's Fuori Salone in Milan. 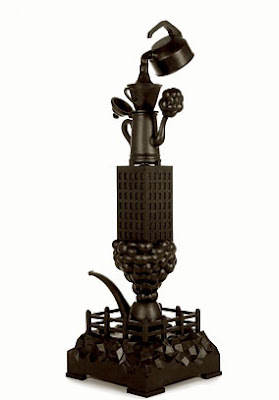 The Rotario 'Glass in Motion' by Angelika Rümmele promises never to tip. 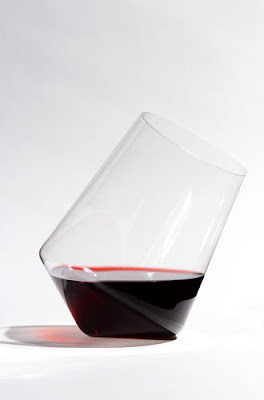 It may swivel and roll, but rest assured your beverage will be secure. Vahakn Matossian is one of the young designers presenting at this year's designersblock in Milan. 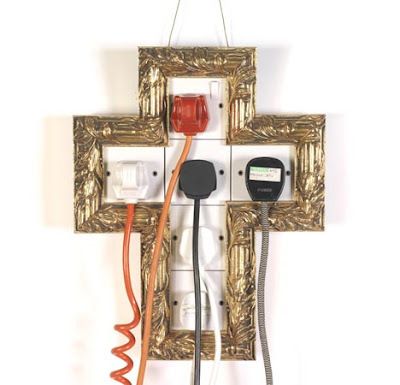 Above are his 'Crucifix' power strip and 'Boomboy' loudspeaker. 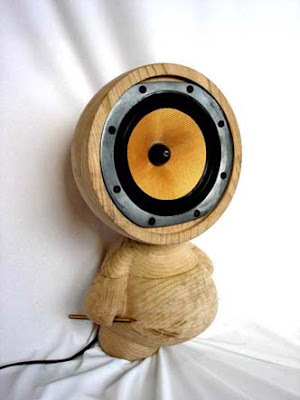 I wonder if Boomboy is inspired by the Kidrobot Munny - they look similar and both are oh so cute. 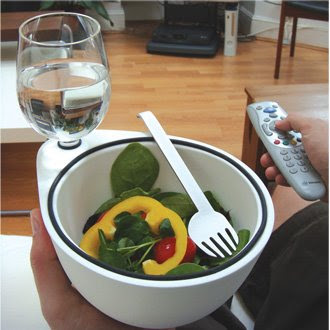 Ollo Eatingware by Lina Meier was created for the increasing number of people who eat their meals in front of the TV. 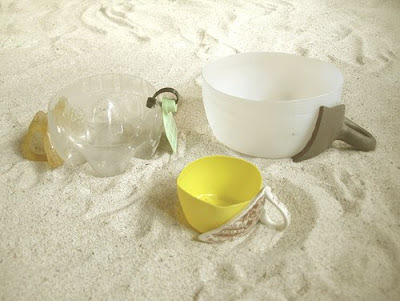 The bowl was designed with an insulated layer to protect the hand that cradles it and along with special stay-put curved cutlery. 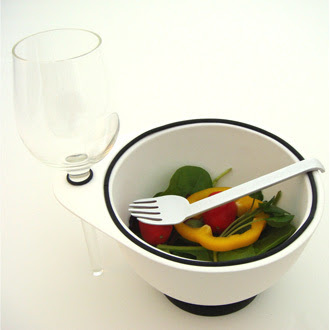 Ollo even has it's own little cup rest so you never have to reach for your glass again. Despite the fact Meier specifically calls Ollo eatingware, not tableware, that's the category I have and thus it shall be filed. Sorry Lina. 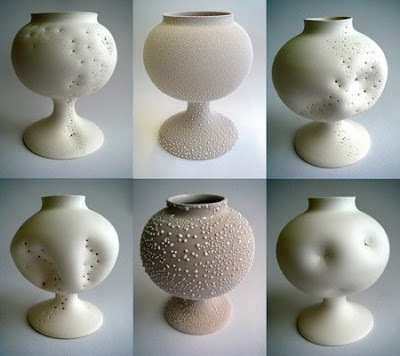 Ceramics designer Tamsin van Essen's 'Medical Heirloom' series consists of apothecary jars that, "appear to have been affected by various hereditary diseases – osteoporosis (top), psoriasis, acne (bottom), cancer, syphilis. 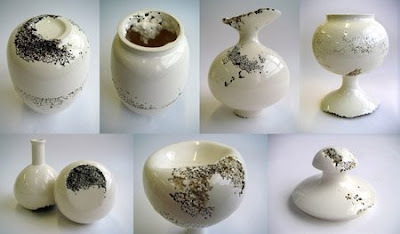 As heirlooms, the jars can be passed down through the generations of a family in the same way as the medical conditions: a legacy of ill health". Nice way to start your Monday morning. 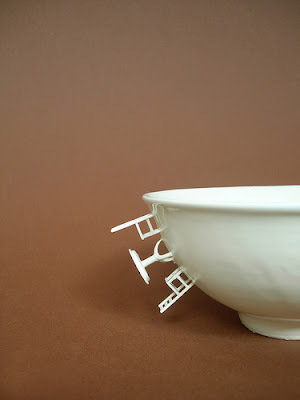 Sometimes I get very reluctant about posting certain items on designklub because I feel like part of their charm is the discovery of such a wonderfully crafted thing. 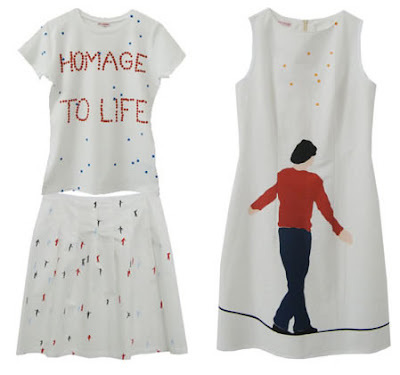 Cecile Belmont is one such designer whose clothing, textiles and art falls into this category. Her imagery is crisp, refreshing...and was recently shared here so I don't have to feel bad about spreading the word.